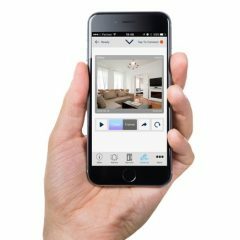 With the new Visonic-go App you can control your burglar alarm with your smart phone. As well as being able to set and unset the alarm, you will also receive a push notification in the event of an alarm activation. You can actually control what push notifications you would like to receive, so if you wanted to know when people are arming and disarming the alarm you can be notified. Our expert engineers will set it all up for you, give you a full working demo and then it’s over to you. Just don’t sack your cleaner if they’re leaving the job early because we might feel partially responsible!! © 2019, Wickham Security, all rights reserved.